For a few Time Trip posts (not necessarily the next few–those are gonna take lots of research) I thought I’d take a look at all things geek throughout the decades of the 20th century. This list is by no means comprehensive. I’m going to start with the easiest – what I remember. And a little beyond. When I took my UNIX class in the early 90s, I was intrigued by all the geeks playing a Dungeons and Dragons-like game by computer. They were using MUDs, or multi-user dungeons, the precursors to today’s multiplayer games. UNIX could have doubled as an early Internet course, because back then, the only way to get to the Internet was via UNIX. 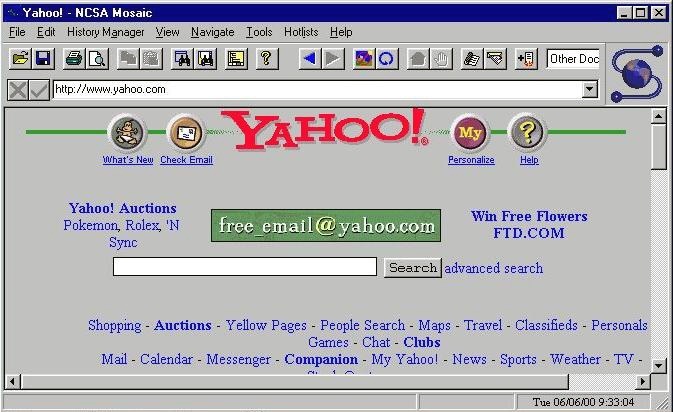 By the end of the course, everyone was talking about the new Mosaic browser, and accessing the Internet via a slip account and telnet. I taught my husband the basics of the pine email client, and we managed to get Mosaic installed on our Windows machines. What a blast. In the 90s, you could not claim certifiable geekdom without building your own computer. So I went to Incredible Universe, bought all the necessary parts, and built my dream machine. So I did it once. I never did it again. If you want to figure out yours, have at it here: http://www.geekcode.com/geek.html. But you may not understand some of it–it’s a bit dated. And there’s nothing in it about building your own computers. If the Internet was geeky in the 90s, then even owning a computer was geeky in the 80s. At least, owning a DOS computer was geeky. There were Commodore 64s and MACs that weren’t nearly so geeky. In order to qualify as a geek in the 80s, you had to know your way around a DOS prompt, program a little in GW/BASIC, understand the 640k barrier, and have the ability to edit batch files. I include this because a special hallmark of the geeky tourist was the 35mm camera. Preferably one with a big lens. I didn’t have a big lens, but I got my 35mm camera for my 18th birthday. I used it for twenty years. I even started using slides and eschewed regular film, so I have a slide projector, screen, and lots of slides. And I never really caught onto digital photography at all. In the 70s, being a geek wasn’t chic at all. They took actual abuse. See Revenge of the Nerds (which actually came out in the 80s) to see what those geeks were like. I was too young to be geek a 70s, but I have known enough older geeks to know what they were into back then. Anyway, RPGs got their start with tabletop games like Axis and Allies, Panzer Blitz, and, of course, Star Fleet Battles. 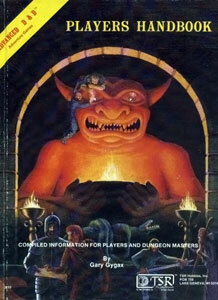 These morphed into role-playing games, Dungeons and Dragons, and then AD&D, being the biggest of them all. I never played them until my 80s, but I remembered seeing it played in the movie, ET. UNIX got its start in the 70s as well. My dad used to get a kick out of all the long-haired and bearded UNIX geeks at work. When I was a software developer, I didn’t use any graphical tools at all. I’d have two windows open with vi pointing to my code, another one open for sedding and grepping, and a fourth for miscellaneous tasks, such as executing code and pouring through log files. It was pure geeky bliss. Do you have any cool (or maybe not-so-cool) geek memories to share? Greg is the geek in our family. I remember when he built his first computer. But like you, once he did it, he didn’t bother doing it again. Our very first computer was a TRS-80, with a whopping 4 meg of memory. 4 of them! Our next computer was the Apple SE30. We’ve come a long way since then. Our first computer had 640K and two floppy drives. I meant to say it in the post, but that picture with the two floppy drives looks just like the one we had.